Alongside the concert was marketed an indoor festival, starting late afternoon. The large area prior to the main performance space was filled with numerous food and drink stalls and the first of Bastille’s support acts, Rag N Bone Man, was performing in the middle of the buzz. It was a shame that the electric atmosphere that had been so perfectly constructed was somewhat lost when entering the vast expanses of the main arena. The second support act, rapper Angel Haze, couldn’t help but seem a little out of place amongst the jazzy tones of Rag and Bone Man and the lyrical melancholy of Bastille themselves, though her energy, enthusiasm and stage-presence were unrivalled. Angel Haze was mostly rapping over the top of pre-recorded singing, and on the occasions that she did sing herself it seemed as though she might have had a sore or strained throat – either that or she simply didn’t have the vocal range she was belting for. 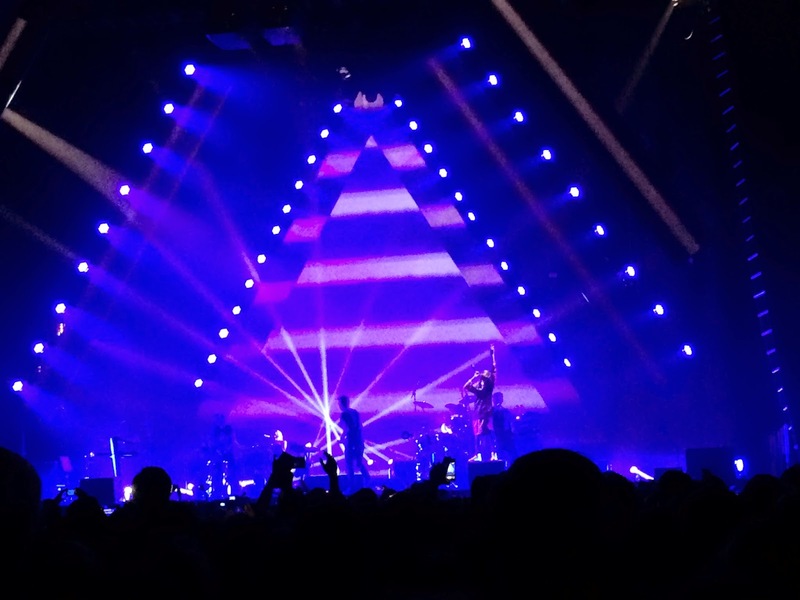 After the almost in-your-face style of performance from Angel Haze, Bastille’s laid-back and reserved approach felt a little flat and underwhelming and this took a while to pick up. 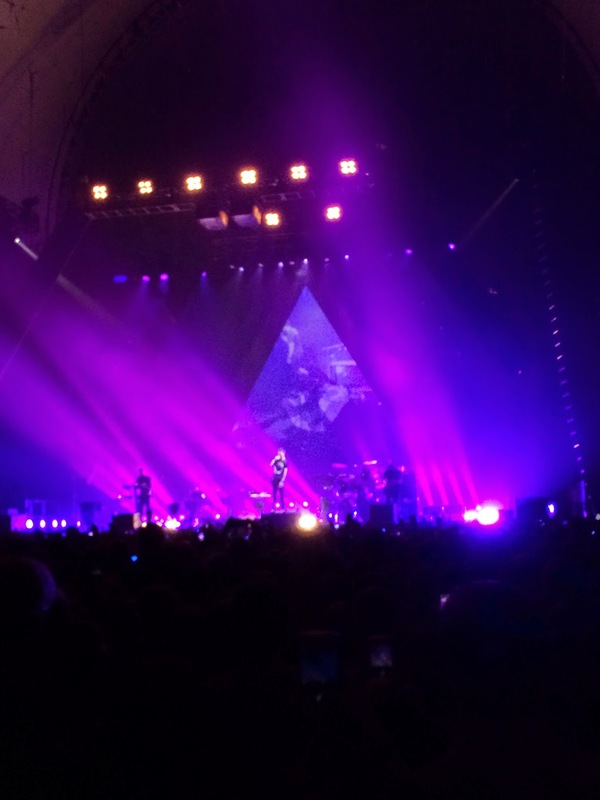 Whether it was a technical let-down or the band’s inexperience with large venues, the music – both instrumental and vocal – was too quiet to begin with and Bastille didn’t quite manage to fill the lofty space with their swelling melodies. 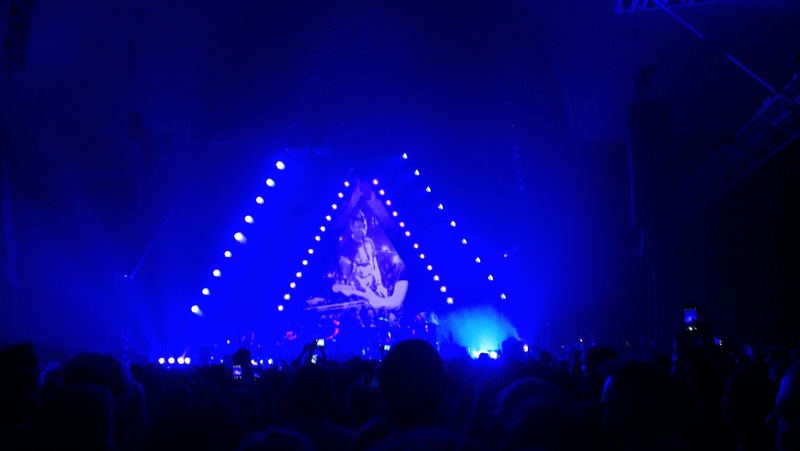 Although this vastly improved throughout their set, the band didn’t achieve full audience committal until the whole venue was jumping up and down for the final two numbers, 'Of the Night' and 'Pompeii'. Dan’s modesty and the simplicity of the set did’t allow for much of a spectacular or interactive and personality-fuelled performance, however his vocals fall nothing short of flawless and this quality of musicianship is maintained across the band. Though this is an impressive skill to have and proves that Bastille is a highly talented group, it would have been interesting to see them take some risks with their songs and steer away from playing them exactly as heard on the album, even if this did take away from some of the vocal quality. The band did invite Rag N Bone Man and Angel Haze to the stage during their set, but neither of these performances was particularly memorable. The stand-out performance of the night was 'Oblivion', where the stripped-back instrumentals gave prevalence to the haunting quality of Dan’s vocals and melodies and really highlighted the genius of his subtlety in song writing. It will be really interesting to watch Bastille grow as performers and begin venture from their comfort zone as they flourish in the confidence from selling-out such venues.